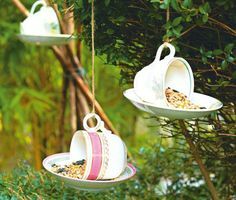 A TeaCup Bird Feeder is a great craft project for the start of Spring. 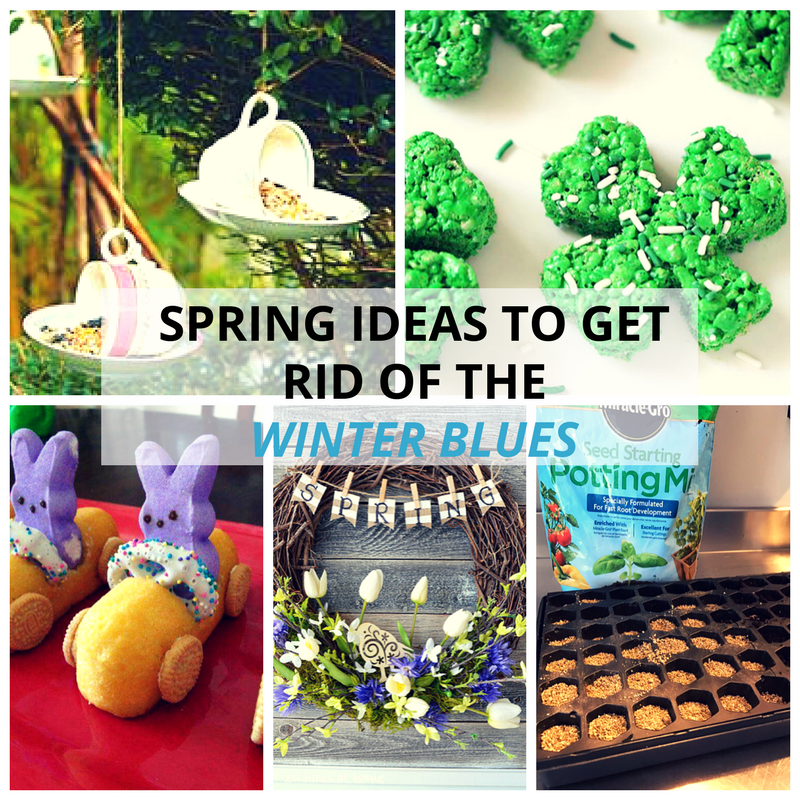 Make one or a few and put them on your patio or backyard–they’re easy to make and cost pennies! Instructions: Glue the teacup on its side to the saucer, wait for it to dry and then use twine to your desired length and tie it to handle of the teacup. Then, use a metal hanging hook and tie it to the end of the twine. After that, you find the best spot for your bird feeder, hang, and add some birdseed. 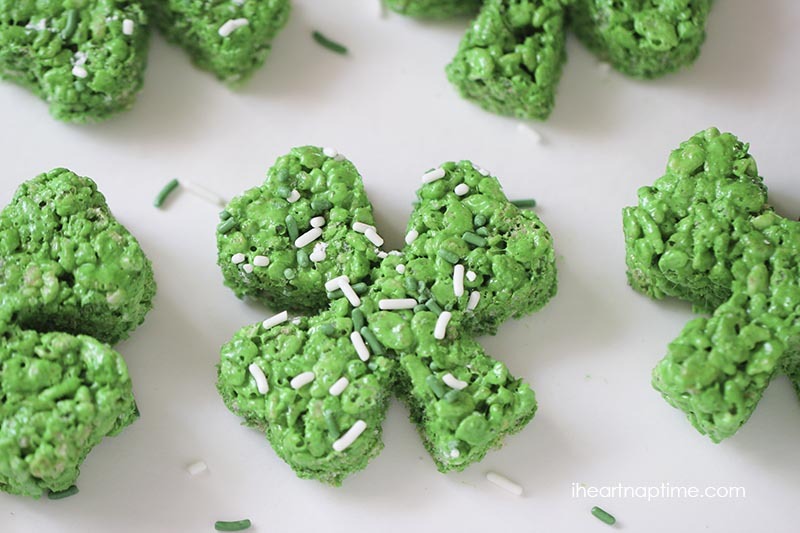 A tasty way to celebrate St. Patrick’s Day is with these cute and delicious Clover Rice Krispies! This is a great activity to do with grandkids and the whole family. 1. Melt butter over low heat in a large saucepan. Once butter is melted add in marshmallows and continue to stir until the marshmallows have melted. 4. Place rice Krispie treats in a buttered 9×13 pan. Press down on the treats with a buttered spatula. 6. Place shamrocks on wax paper. A Spring Wreath for your front door is a welcoming touch and reminds people that Spring is finally here! 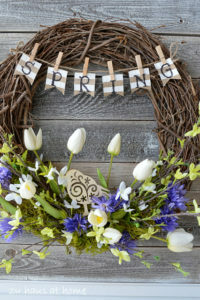 You can gather materials from around your house or visit a local craft store– the great thing about making wreaths is that you can use almost anything you want and make it personal. Peeps and Twinkies!? That’s a match made in Easter heaven! 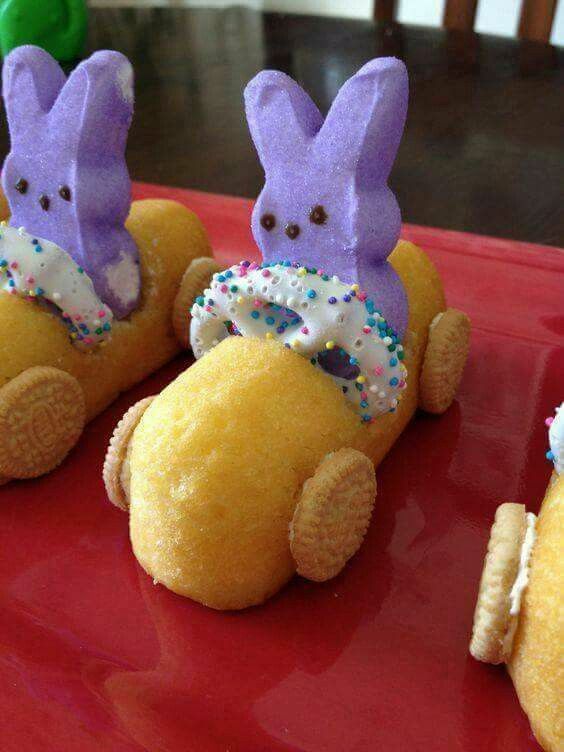 Make this adorable Easter treat with family and friends for a fun and tasty activity. Peeps come in all different colors and shapes, you can really mix it up with this idea and make all kinds of Easter Bunny Twinkies. Simply decorate and design your Easter Bunny Twinkies to your liking then enjoy! 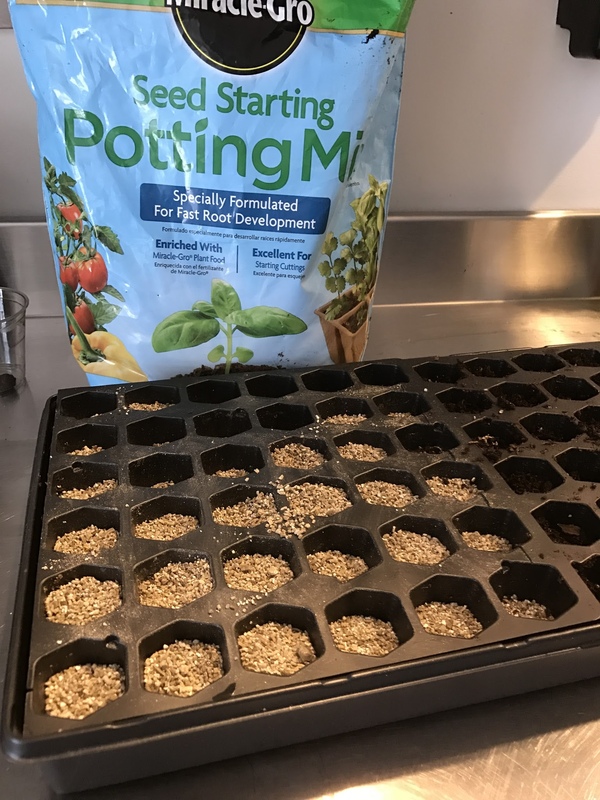 Right now is the perfect time for indoor seed starting! Get your garden ready for Spring and Summer by growing the seedlings indoors. Gardening is a cheap activity and is known to help reduce stress and tension, a perfect hobby for Seniors and their Caregivers. Learn more about indoor seed starting here.